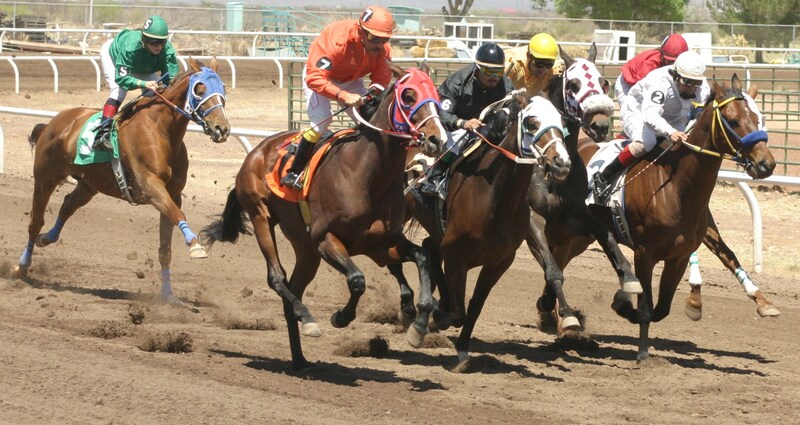 The Cochise County Fair Association is pleased to announce The Cochise County Horse Races. Live races will be run on May 18 & 19, 2019. Please join us for 2 days of quarter horse and thoroughbred races!! Click here to see details about pledge levels. The Cochise County Fairgrounds is home to a 7/8-mile dirt racetrack that has been part of the spring racing circuit for many years. The track has been home to the famed El Moro de Cumpas Stakes and trials. It consistently ranks as a favorite racing venue among trainers and jockeys, and it is maintained year round and available weekday mornings for race training. Racing has not taken place at most Arizona county fairgrounds in recent years due to a lack of state funding. In 2015, Rillito Park Racetrack, under new management, hosted the Cochise County Fair Association’s early February race dates and the El Moro de Cumpas Stakes. Plans are underway to bring back the county racing circuit in spring 2016, with an April/May racing rotation in Safford, Sonoita and Douglas. The newly formed El Moro Foundation envisions building the El Moro de Cumpas into one of the quarterhorse industry’s richest races. Your donation is much appreciated and incredibly valuable to this effort. As a state-sanctioned event, the fair association will bear significant costs related to equipment rental, facilities preparation, and temporary personnel. View our photo gallery below for exciting moments from previous race years. Photos courtesy of Bruce Whetten, Backdrop Photography/Douglas Dispatch. for each section of the fair category. Great job! Thank you! Yes, we need more pictures of people doing things at the fair and other events and having a good time. If anybody has any they’re willing to share, please contact the fair office!